Some choose budget travel; others have budget travel thrust upon them. 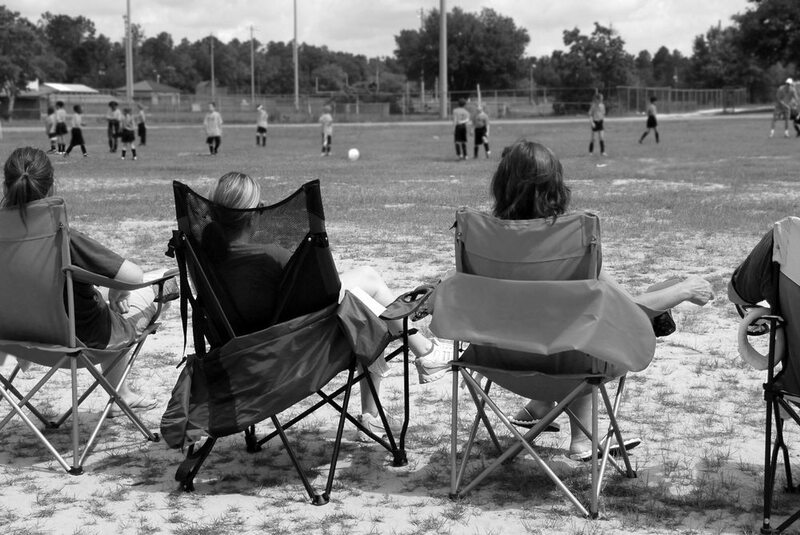 Legions of families will hit the road this summer to spend hundreds of hours sitting on fields or in rinks watching their children participate in travel sports. For many, these weekend trips have replaced traditional family vacations. It’s kind of like being sentenced to leisure prison since you have no say in the planning. These 5 tips can make your time less like a punishment and help you wring some pleasure out of your jock-strap holiday. MOTEL HELL: The primary problem with these travel tournaments is the lack of choice. You will be shackled to the accommodations arranged by the tournament director and, speaking from experience, the situation usually ain’t pretty. At one event, I arrived late in the evening and found my husband and son sprawled across two small cots, sound asleep. There were no extra rooms available and it was too cold to sleep on the pool chaises, so my daughter and I curled up on the concrete floor. Seriously. Following this event, I got into the habit of bringing luxury toiletries with me. A very hot shower is a welcome treat at the end of a day on the fields (or a night on the floor) and filling the air with the scent of orange blossoms and jasmine helps you pretend you’re at the Ritz Carlton. Some nice ones to try include Molton Brown Women’s Traveler or Diptyque’ s new Art of Body Care Collection. YOU ARE WHAT YOU WEAR: For years when attending these games, I wore my mom uniform: team t-shirt, jeans, sneakers and an oversized sweatshirt. One day I decided to shake it up a bit and tried a solid color, fitted, logo-free tee and an oversized pashmina. Not exactly fashion forward, but I no longer felt like I was dressed to clean the garage. The pashmina also comes in handy, doubling as a blanket when you require a nap. This usually happens between games 2 and 3, following a rain delay. It can also be used as a towel for bath or pool since they’re supremely absorbent and fast-drying. WINNER, WINNER, CHICKEN DINNER: One of the best things about summer vacations is spending time together as a family But you’ll be glad you threw a couple of board games in the car when the family gets bored. Keep cumulative scores and crown a weekend Yahtzee champion. Restoration Hardware has cleverly packaged bookshelf editions of some of your favorites. This diversion will entertain the kids until they turn 16. Then they’ll spend their spare time trying to crash weddings and bar mitzvahs in the hotel. Just a warning. BREAK THE FOOD CHAINS: Even in the most remote backwater, there’ll be one notable restaurant. It may be the meanest bbq shack or a legendary family-run steakhouse. There’s no reason you need to eat every meal as a pack at Denny’s. To find the local gem, ask one of the dedicated volunteers boiling dirty water dogs in the concession stand. IDLE HANDS: Bring along your hobby. If it’s photography, take your camera and wander off to shoot things other than little Suzy or Johnny. If you’ve slept on a concrete floor, you’ll be up early, so take advantage of the morning light. If needle crafts are your thing, knit a new sweater every season. Or just bring a book. Your child’s going home with a trophy. You should have something to show for your time served. I don”t take these sports team trips but found this really interesting…thanks for introducing me to this world. It’s a fun read – you should try and get it published – parent mag, travel mag etc. Thank you so much for stopping by and for the very kind and encouraging words. Making sure you and your athlete get the proper nutrition while on the road is so important! That’s why it’s always a good idea to pack snacks or hit up the grocery store when you arrive. A rotisserie chicken from the grocery store with some sides from the deli is better than fast food for three nights! All you need is some paper plates. Great tip regarding the rotisserie chicken. They’re always a big hit with my family. Thanks for visiting. Quite a different category of travelling. This deserves more readers!